Seek To Know The Truth: Was Jesus Always “Nice”? The Great Shepherd Himself was never far from open controversy with the most conspicuously religious inhabitants in all of Israel. Almost every chapter of the Gospels makes some reference to His running battle with the chief hypocrites of His day, and He made no effort whatsoever to be winsome in His encounters with them. He did not invite them to dialogue or engage in a friendly exchange of ideas. Jesus’ public ministry was barely underway when He invaded what they thought was their turf—the temple grounds in Jerusalem—and went on a righteous rampage against their mercenary control of Israel’s worship. He did the same things again during the final week before His crucifixion, immediately after His triumphal entry into the city. One of His last major public discourses was the solemn pronunciation of seven woes agains the scribes and Pharisees. These were formal curses against them. That sermon was the farthest thing from a friendly dialogue. But it is a perfect summary of Jesus’ dealings with the Pharisees. It is blistering denunciation—a candid diatribe about the seriousness of their error. There is no conversatsion, no collegiality, no dialogue, and no cooperation. Only confrontation, condemnation, and (as Matthew 23 records) curses against them. Jesus’ compassion is certainly evident in two facts that bracket this declamation. First, Luke says that as He drew near the city and observed its full panorama for this final time, He paused and wept over it (Luke 19:41-44). And second, Matthew records a similar lament at the end of the seven woes (23:37). So we can be absolutely certain that as Jesus delivered this diatribe, His heart was full of compassion. Yet that compassion is directed at the victims of the false teaching, not the false teachers themselves. There is no hint of sympathy, no proposal of clemency, no trace of kindness, no effort on Jesus’ part to be “nice” toward the Pharisees. Indeed, with these words Jesus formally and resoundingly pronounced their doom and then held them up publicly as a warning to others. This approach would surely have earned Jesus a resounding outpouring of loud disapproval from today’s guardians of evangelical protocol. In fact, His approach to the Pharisees utterly debunks the cardinal points of conventional wisdom among modern and post-modern evangelicals—the neoevangelical fondness for eternal collegiality, and the Emerging infatuation with engaging all points of view in endless conversation. By today’s standards, Jesus’ words about the Pharisees and His treatement of them are breathtakingly severe. Excerpted from The Jesus You Can’t Ignore. 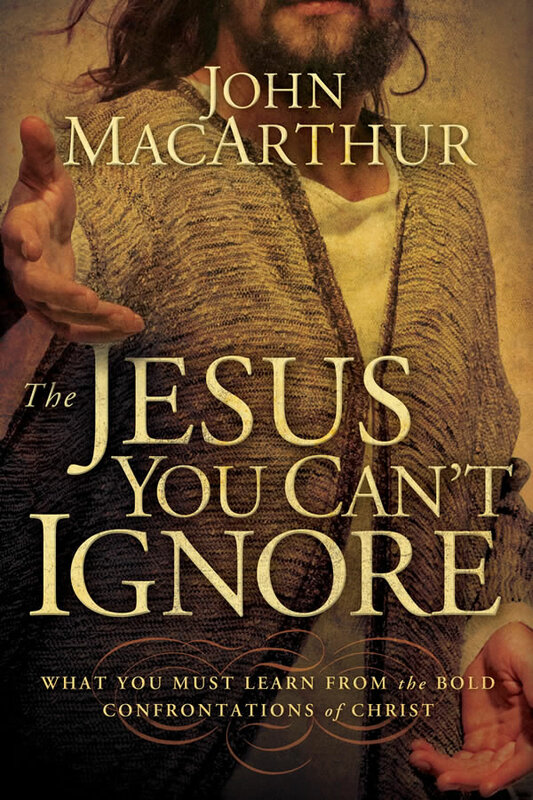 © 2009 by John MacArthur.